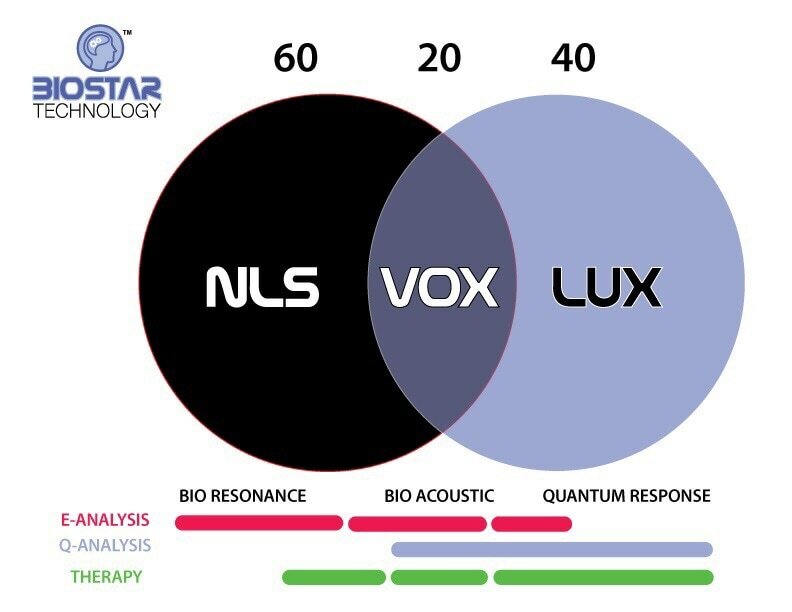 Biostar Technology International, is a pioneer in alternative health technology. Our mission is to incorporate the best suite of products to cover all aspects of a health practitioner's needs. While each one is a stand alone device - this method allows you to build according to your needs. E-ANALYSIS or "Energy Analysis" is the ability of the device to capture information for the human biofield. Each of the devices are capable of alerting to the same information. This method of triangulation allows you build upon the strongest signals of the body to work on. Therapy is the ability of the device to perform some type of energetic therapy - or stress rebalancing using a specific or various frequencies of the related biofield.